NO SHIPPING COSt, FREE DOWNLOAD!!! 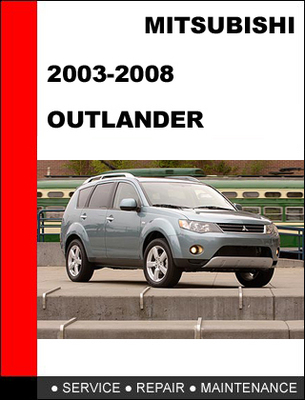 You are buying a 2003-2008 Mitsubishi Outlander Factory Service Workshop Manual. This is the very same manual that your local Mitsu dealer technician uses in repairing/servicing your vehicle. This file is sold by repair4less, an independent seller on Tradebit.